HPBExpo is taking place in Dallas, Texas. Our team will attend the HPBExpo as manufacturer, retailer but also distributer of several line of products. They’ll meet people from around the world and will get the chance to present our products to the largest outdoor living event. 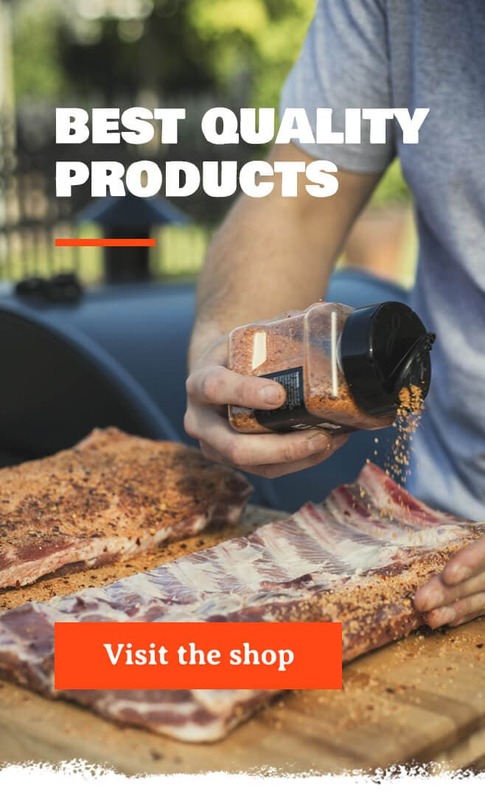 Our House of BBQ Experts line will be shown as well as other lines of products we do distribute. We’ll be presenting exclusive products but also actual products we do carry and sell as retailers. Our team is also very proud to present the All-in-1 at the Vespa awards. A pride for us to be next to big players in the barbecue business. 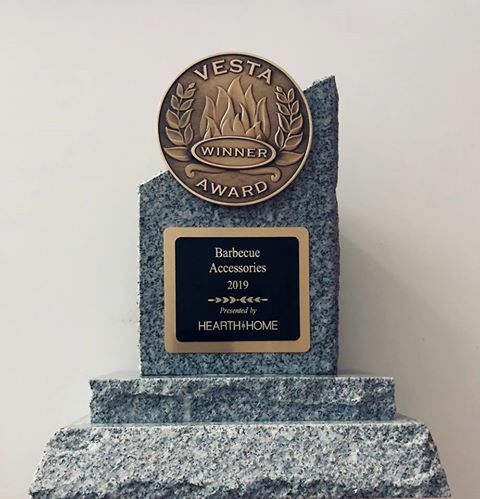 House Of BBQ Experts was a finalist last night with the BBQ AAA – All in 1 in the Barbecue Accessories category at the prestigious Vesta Awards, created in 2001 by Hearth & Home Magazine to recognize and honor international manufacturers for their innovation in product design and/or technology in the world of barbecue. Guess what? The All-in-1 won ! Max has been dreaming for a long time about a versatile accessory for the kettle BBQ, that could serve a multitude of purposes. Meanwhile, Pierre-Luc had the same idea. So he developed a product and came to present it to Maxime, on a beautiful Saturday in the spring, at his shop in Boucherville. Max was so busy helping customers when Pierre-Luc got there, that he waited 3 hours for him to be available. He understood that he might not have picked the greatest time to come visit, but he really wanted the opinion of the BBQ Québec on his innovation. Together, they searched for ways to improve this great concept and tested many different versions of it for several months. Pierre-Luc took the decision to put aside his career as a pro golfer🏌🏼‍♂️to pursue his passion and jump into the BBQ world.🔥He joined Max’s team as an abassador across Quebec for their products. Its versatility allows BBQ enthusiasts to benefit from the multiple advantages of several accessories, already sold for the kettle type charcoal barbecues, all rolled into one amazing item. 🇨🇦Entirely conceived and manufactured in Quebec⚜️, this Canadian product is a the pride and joy for all those already using it as a pizza oven, smoker, tandoori grill or rotisserie on their kettle BBQ. 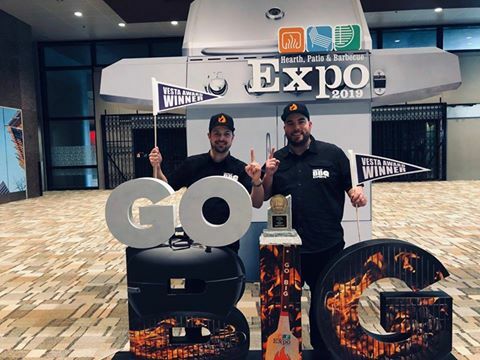 🎗The All-in-1 won the Innovation of the Year award in 2018 at the AQMAT Gala and wins this year, in 2019, the Innovation award as Barbecue Accessory of the Year at the Vespa Awards, that great contest at the prestigious HPBExpo in Dallas, Texas. Today, we are celebrating those two stubborn and passionate visionaries that believed in their vision so hard that they carried their project towards winning this fabulous award.🧡You guys rock ! Visit thewww.all-in-1.worldto become a dealer or check our facebook page BBQ AAA – All in 1 ! Don’t forget to hit the Like button to celebrate this victory with us!